I was looking for inspiration, and The Sounds of Peace post reminded me of an untold story from August 2001. It’s been a while since I’ve thought about that day and why it became significant after 9/11, and I never wrote my thoughts until now. In August 2001, my youngest son was 11 years old and his passion at that time was coin collecting. 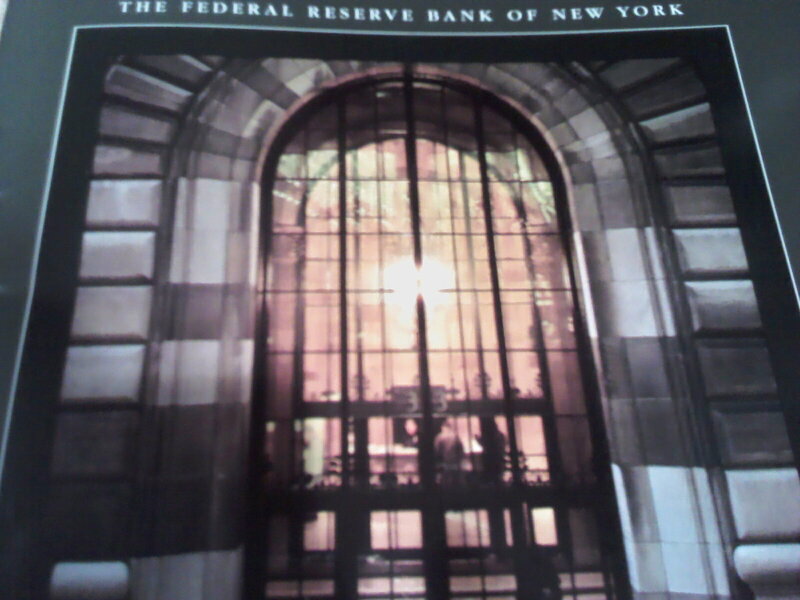 When I was chatting with a co-worker one day and mentioned this, he suggested I take my son to the Federal Reserve Bank of New York, which offered a tour of the gold vault. It was a great idea! My son loved it. He was mesmerized by the gold bullion on display, largely a relic from an era when gold was used to meet international payments, according to the brochure we were given. Another takeaway was a small bundle of pulverized and compressed notes, equivalent to $1,000. The Federal Reserve Bank made these bundles from the destruction of unfit currency and offered them as souvenirs. Since we were in the Wall Street area, I thought about taking my son to the World Trade Center, which he’d never seen, but it was a hot day in the city and Liberty Street was noisy and crowded. At that point, we were ready to leave the congested environment and return to the quiet suburbs. I told my son I would bring him back to see the World Trade Center another day. I assumed it would still be there when I returned. Fast forward years later to when my son was in high school. We had been in Brooklyn and passed through Manhattan on the way home. We were headed uptown and walked by the New York Public Library, and I stopped and looked. At that time, books were my son’s passion and I wanted to show him this incredible landmark. It had already been a long day and we languished under the summer heat. 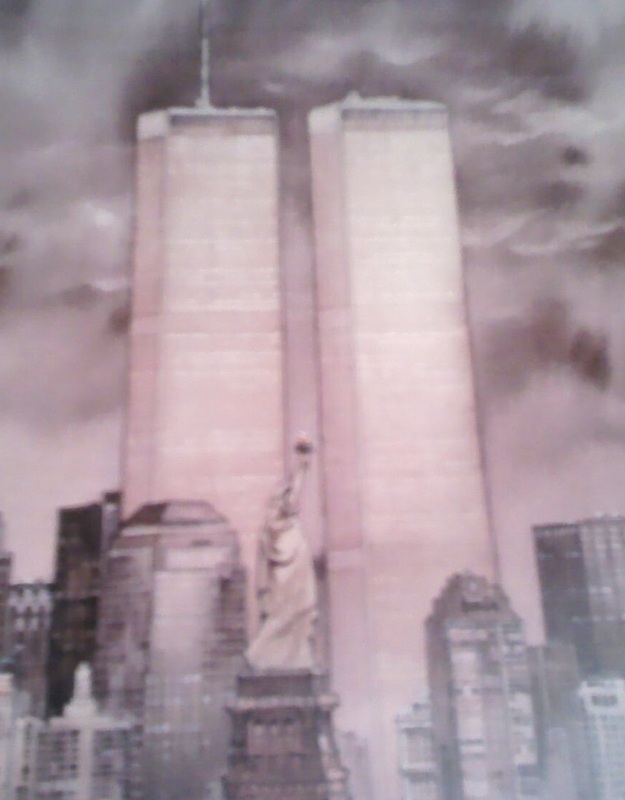 But I remembered 9/11, not just because of the heightened security, and insisted we go in. Walking through the great halls of the 42nd Street library, we were captivated by the art work, the building’s magnificent architecture and history, and the volumes of literary work that surrounded us. Most importantly, l learned my lesson. I would never again assume that what is here today will be here tomorrow. What a thoughtful post. But like your friend suggest you aren’t to be faulted to think that landmarks just disappear. Ah – mother’s guilt. A book, not a post! On this somber anniversary of September 11, I am reblogging this post, which rings just as true for me now as it did then. When trying to reconcile senseless destruction and loss of life, sometimes we feel compelled to take away a lesson of some kind. My lesson was to never assume what exists today will exist tomorrow. How right you are! You learned such an important lesson and I thank you for sharing. We know, but we forget. Right, tomorrow keeps no promises.